One-step staining protocol for fast analysis of mammalian and plant cellular DNA. Ready-to-use staining solution for the fluorescent staining of nuclear DNA of fixed and non-fixed cells from different origin. 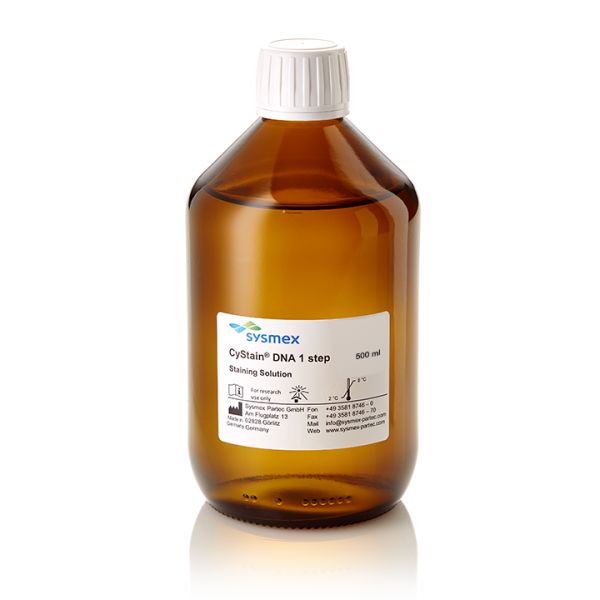 This staining solution can be employed to various biological specimen of plant tissue, suspended cells or yeast cells and the subsequent analysis in a flow cytometer. 250 tests per kit.